Trying to live life to the fullest. This post is a continuation to my previous post, The Last Paradise I. Make sure you read that before you read this! Some accommodations at the Kordiris homestay. In our scuba gear, getting ready to dive! We went for two dives, for about 40 minutes each separated by a two hour surface interval period. For the first dive, we rode a speedboat to Yenbuba, which took about 10-15 minutes from Gam Island. 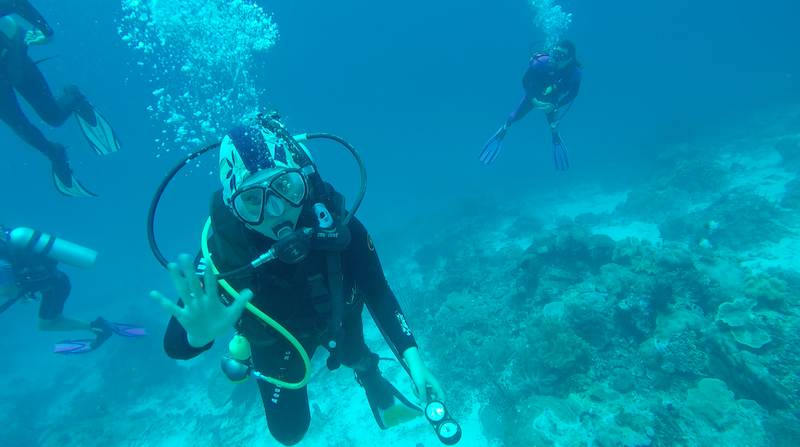 As a super beginner diver, it took some time for me to readjust to the equipment, but the scuba diving was fun nonetheless. I had a bit of problem with controlling my buoyancy in the beginning, but adjusted as the dive went by. 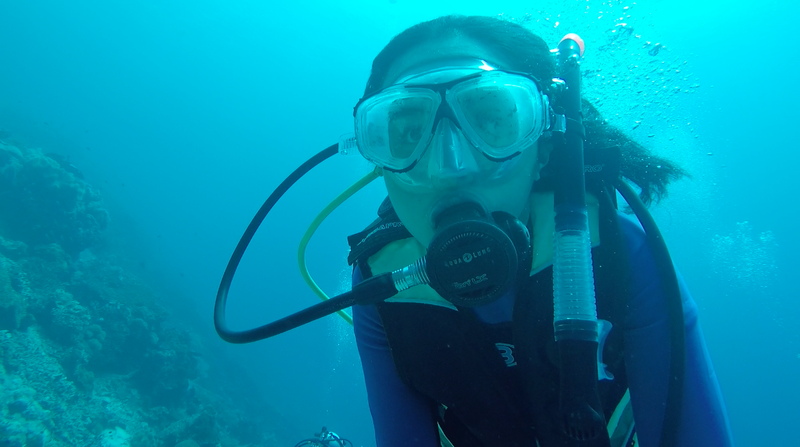 One super cool thing happened though; right at the beginning of the dive, I saw an actual, real life shark! I think it was a white shark, as it looked exactly like the one I saw at CI. It was probably a baby shark too, since it was less than 2m long. I kind of panicked at the beginning, but then I remembered that sharks are actually pretty harmless (unless provoked), so then I calmed down and simply swam along. Since we were all beginners (at least except for Mom and Dad), Enzo picked Yenbuba for our first dive since it was a relatively easy dive—calm waters and all—but the marine life is already spectacular. True enough, the dive did not disappoint. Such a wide variety of fishes! It was so cool how you could dive past a school of fishes, yet they wouldn’t be bothered and would just go about doing their business. Oh yeah, we even saw a Wobbegong shark during our dive! The Wobbegong shark is basically a type of carpet shark that is native to Indonesia (and some in Australia). Apparently, it’s quite a rare sighting. They’re hard to spot because they stay still on the ground and camouflage easily, but we were lucky enough to spot one—albeit a small one—during our first dive! Again, unlike the stereotype of sharks as super dangerous animals, the shark was totally harmless. It didn’t even move an inch. Is it just me or do I look really weird underwater? All hail the Wobbegong shark! Can you spot it? As a side note—I apologize for the super suckish underwater photos. When you go inside the water, the first color that’s lost is red. The deeper you go, the more red is lost, which is why many underwater photographers will use red filters. I didn’t have one, which is why they’re all super blue-ish! I suppose I can color correct them via Lightroom, but still…more reason for me to take the underwater photography course by PADI! For our second dive, we went to Friwen Wall. I was really excited because I’ve never dived at a wall site before. Friwen Wall is also a tougher dive site than Yenbuba, primarily because of the strong current, which only grew stronger towards the end of the dive. The current was very noticeable. It was a good selection for our second dive though, because we were far more comfortable with the equipment and we were able to enjoy the dive more. 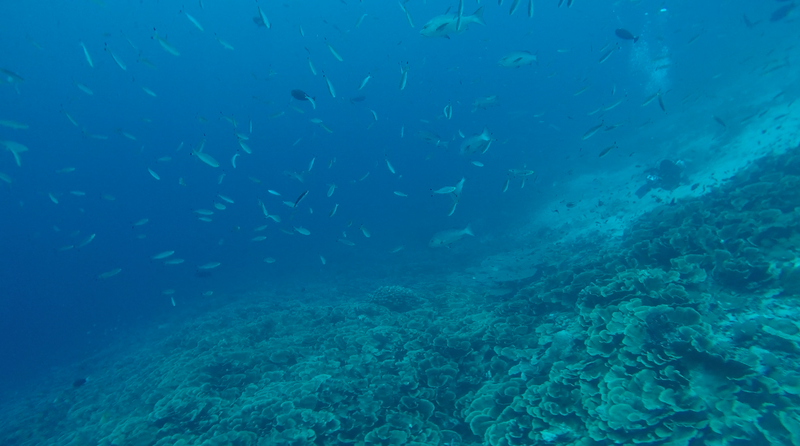 It was also a good balance to Yenbuba, because although Friwen Wall had a smaller variety of fishes to see, it has a considerably bigger variety of interesting corals. 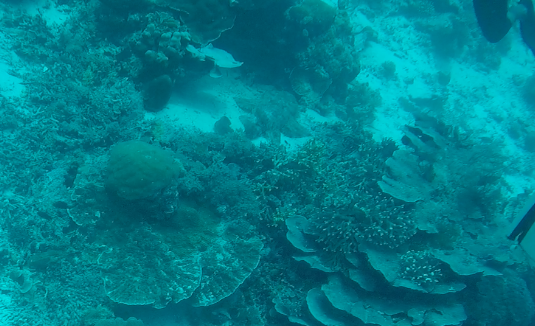 Imagine being 20m deep in the sea, looking up to see a gigantic strip of corals. Truly a mesmerizing view. Something pretty funny happened during the dive though! So there were seven of us: Mom, Dad, Nadia, Adam, my cousins Hasna and Ihsan and me. 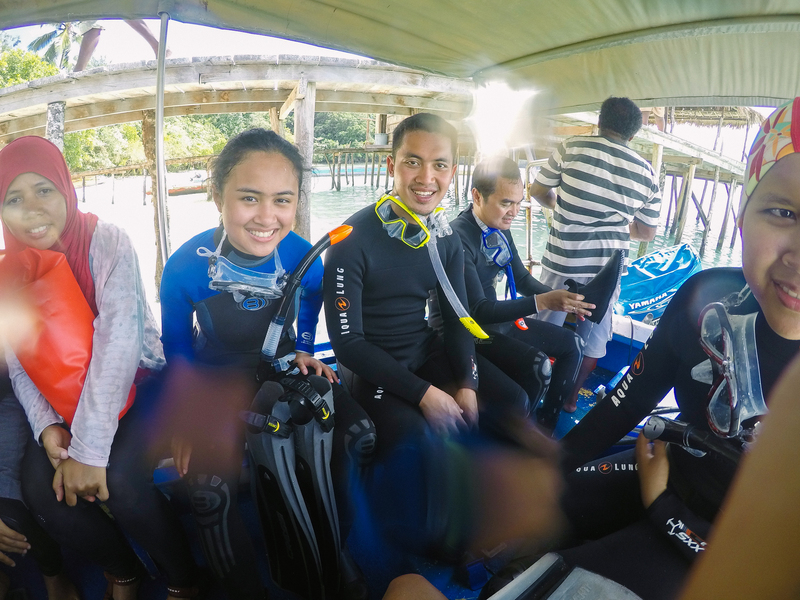 Nadia, Adam, Hasna and I were in one group with Enzo, and the rest with the other dive master, Roy. 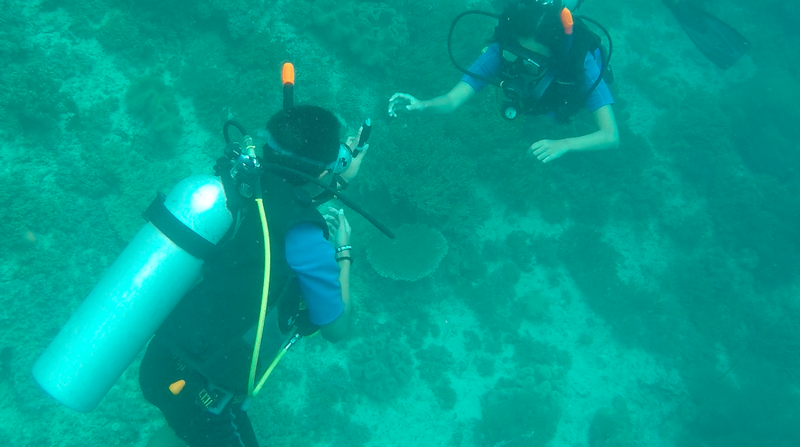 About halfway through the dive, Hasna suddenly disappeared! We looked around, only to find that she’s already at the top of the surface, haha! She said that she just couldn’t control it; she probably had positive buoyancy and just rose. Nadia, Adam, Enzo and I were so confused looking for her. Enzo was even going to swim back in case she got lost. Thankfully we saw Hasna above us before Enzo was about to swim back. Adam was my buddy during the two dives, and being the funny kid that he is, during the second dive, he jokingly signaled “Shark” to me and pointed towards Nadia’s direction. At first, I thought what he meant was that there’s a shark near Nadia, but then I realized that he meant that Nadia is the shark haha. I ended up laughing, and some water got into my mask! It wasn’t a very wise decision on Adam’s part though, because I noticed Enzo looking rather worried and confused when he saw Adam signaling “Shark”. Thankfully, he realized afterwards that we were just joking around. To be quite honest, I’m not exactly sure whether it’s spelt “Sawinggrai” or “Sawing Ray.” Tom’s Adventure spelt it as “Sawing Ray,” but the sign at the village spelt “Sawinggrai.” But anyways, Sawinggrai is the name of a village (and homestay). We were there primarily to feed the fishes. The village provided some dough, and you can take some, put your hand in the water and the fish will literally nibble the dough off of your hand. It was pretty ticklish! My sister, Nadia, feeding the fishes! After Sawinggrai, we headed to Arborek, an island just 20 minutes from Sawinggrai. I have to say, Arborek is probably the most well-kept island we’ve seen thus far. It was super tidy! Like Sawinggrai, Arborek also had abundant fishes surrounding the dock. The fishes there also love food, even human food. After lunch, I fed the fishes with our leftover food, and they nibbled away. We came there during the rainy season, which isn’t actually the best time to visit Raja Ampat, but that was literally the only time when all of us were free, so we just went and had a ton of fun nonetheless! At Arborek, we snorkeled by the docks, and learned how to freedive from James. I had heard of freediving before, but never really thought much of it until this trip. Turns out it’s actually a useful skill to learn though. In case you’ve never heard of freediving, it’s basically diving, just that you do it without scuba gear. Your air supply comes from holding your breath! So yes, as you might be thinking, it’s actually pretty tough. Moreover, although diving to the bottom of a swimming pool might be easy, the open water is a totally different thing. It’s much harder to swim to the bottom of a 3m body of water with salt water than it is with fresh water. If you’re diving really deep, equalization also becomes a really important thing (you know, that feeling you get when you fly on a plane and your ears hurt? You get rid of that feeling by equalizing). Turns out, there are agencies that teach freediving, just like there are agencies that teach scuba diving! And guess what? A freediving certification costs just as much (or maybe slightly less) as a scubadiving certification! Our flight leaves at 2pm on Day five, so we just spent the last day touring Sorong and (attempting) to get souvenirs.There’s really not much to see in Sorong. It’s a small city, and not very touristy at all. 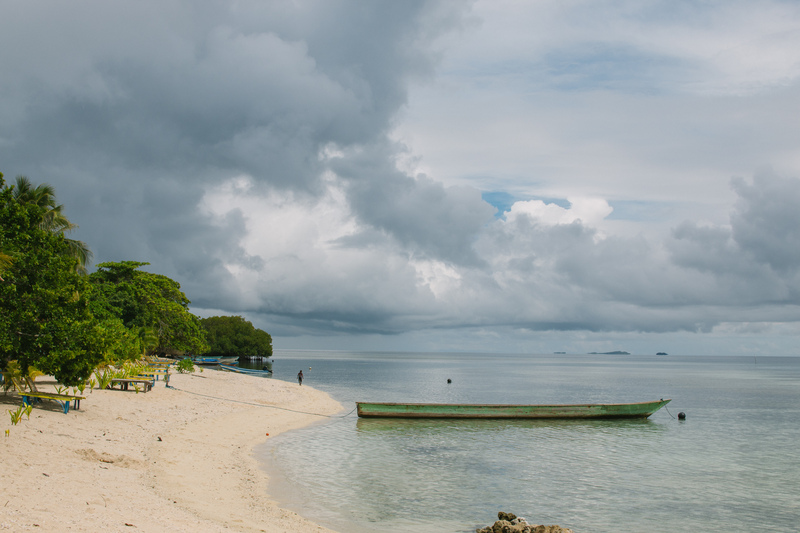 I imagine most of the tourists in Sorong are there either as a transit point before Raja Ampat, or before other areas in West Papua. We tried roti abon gulung, a specialty bread from Sorong. It tasted kind of weird at first, I have to admit, but it’s actually quite yummy and filling. Speaking of souvenirs, I was rather disappointed that I didn’t find any souvenir stores in Raja Ampat. Well, the resort we stayed in did have a souvenir store, but it sold Bali t-shirts! I mean, whaaat?! There was actually a Raja Ampat t-shirt souvenir store in Sorong, but the sizes were so big (Indonesians are tiny haha) that I ended up not getting one. I got stickers and a postcard instead. Yeay for my postcard collection! Conclusion: Is Raja Ampat worth it? As a scuba diver, beach-goer, or simply an adventurer, then yes. The answer is simply yes. It’s a one in a kind paradise. 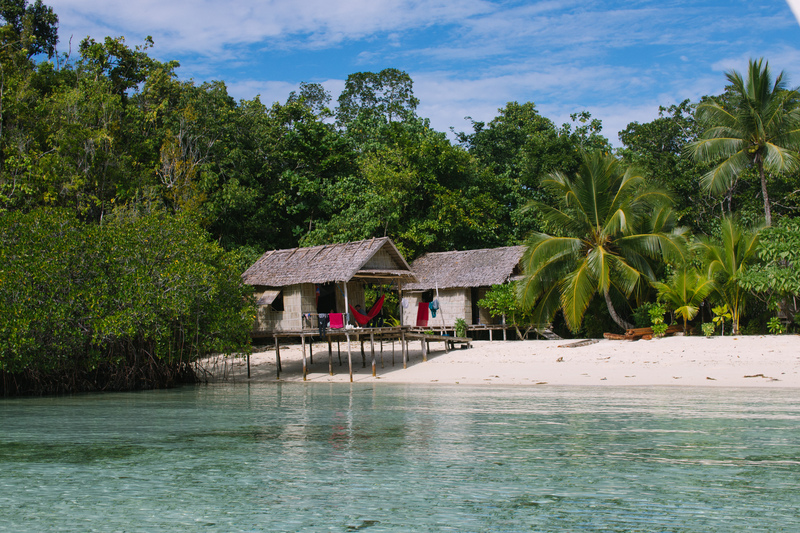 The coral reefs, beaches and jungles (although I was only able to admire the jungles from afar) are relatively pristine. The locals I met at the homestays know very well how lucky they are and try their best to join in conservation efforts. 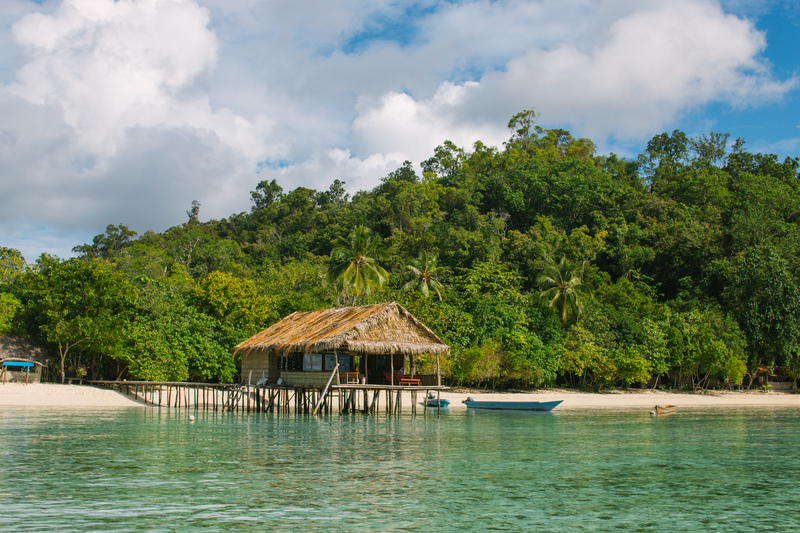 It’s fairly isolated location from the rest of Indonesia does not make it a popular tourist destination, which in a way prevents irresponsible tourism from flooding the rich waters of Raja Ampat. Raja Ampat is a place that definitely lets you enjoy the beach and underwater world at its finest. 10/10 would recommend.